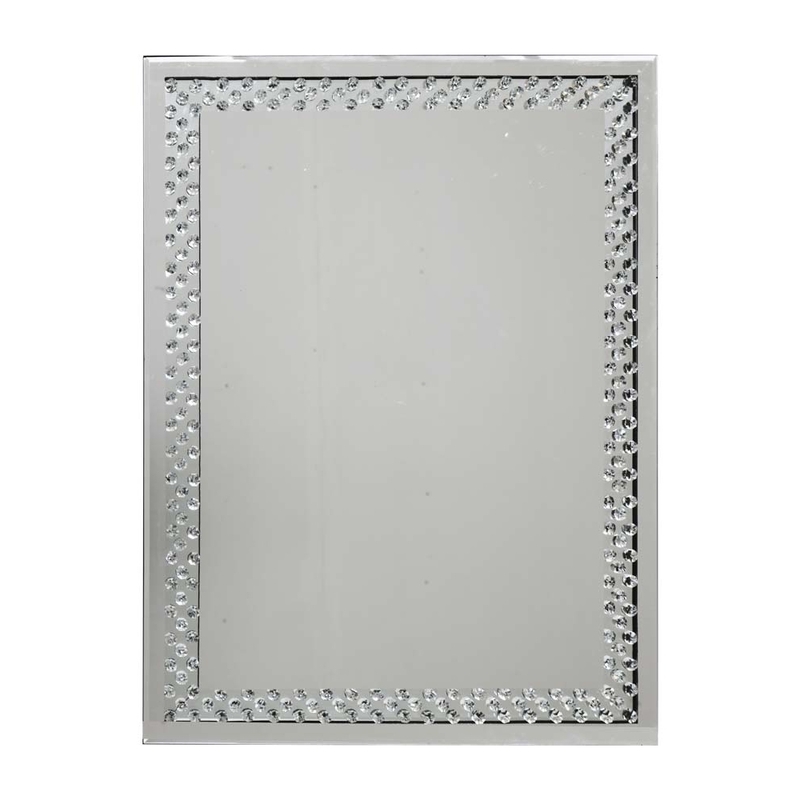 This is a pretty wall mirror with gems along the outside of the mirror. This mirror could be the perfect addition to your home, it may have a simple design but it'll brig your room alive. This is part of the Rhombus mirrored collection and is truly a beautiful mirror that would be a great addition to your home.